Summer as the wonderful season in Lhasa with humid air and increased oxygen content is the best season for outdoor sports. 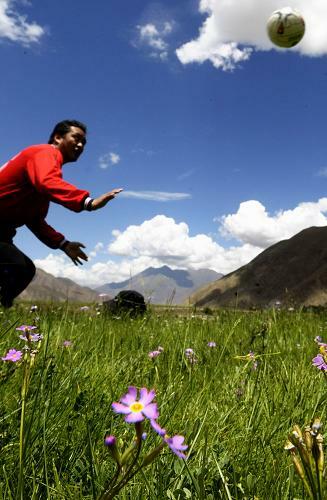 Photo from Xinhua shows a young Tibetan is playing football in the open air. 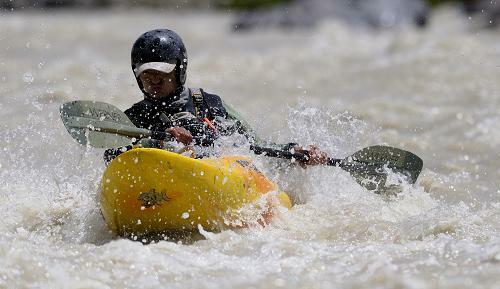 Photo from Xinhua shows a drift lover on the branch of Lhasa River.